The light caught my eye as I noticed the small personal white fan sitting on the bench at the bus stop. The streets were relatively quiet on this Wednesday morning. The cage that went around the fan’s blades had clearly been broken as some of the pieces lay beside it on the bench. Was this where the fan broke? Was it new or old? 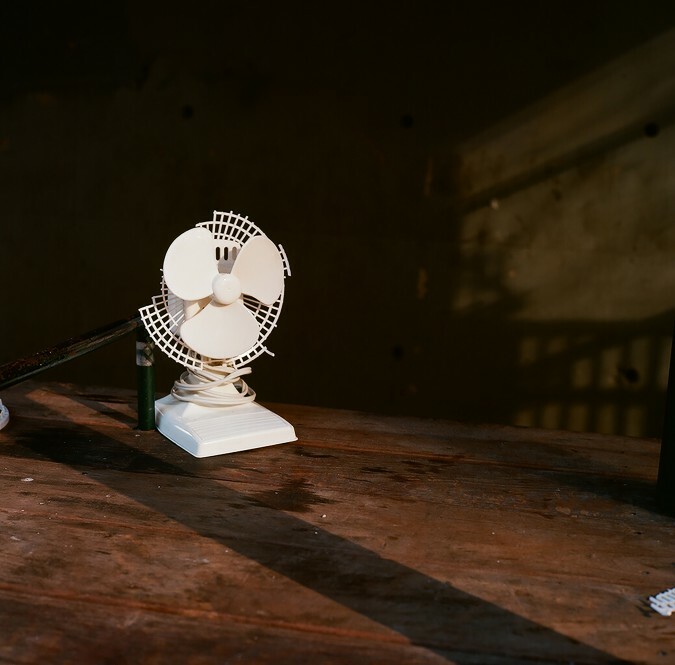 It seemed strange that it would be placed on the seat in this way with the cord neatly wrapped around the neck of the fan, peering out to the street almost as if it was waiting for the next bus.